If you are looking for something awe inspiring to do this Labor Day, then Lake Powell just might be the place for you to visit. Spanning from Arizona to Utah, a dam was completed in 1963 and after 14 years of filling the lake, the shoreline is now 1,986 miles long. A huge attraction for millions of people, Lake Powell brings crowds from all over the world. The Glen Canyon Recreational Area is more than 1 million acres in the southern part of Utah and northern Arizona. With attractions like video shows, the dam itself and exhibits, one can be sure of an adventurous day ahead. If you visit in the summer, dress cool because summers here are very hot and it is advised that you wear a hat as you journey around enjoying the sights. 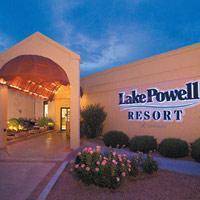 Lake Powell has a resort located at Wahweap Marina and is right in the heart of all the places and activities. A wonderful idea to go and stay here if you`ve decided to have a full weekend of fun and adventure. There is boating and fishing, recreational water sports, half and full day tours of Rainbow Bridge, backpacking and many other fun things to do and see in Lake Powell. There are also many side canyons of the lake to explore by boat.